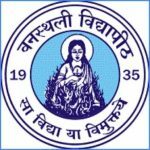 DHSGSU PGET 2019 Application Form Last Date has been Extended till 19th April 2019. 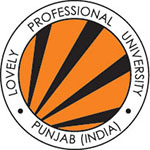 DHSGSU PGET is commonly known as Doctor Hari Singh Gour University Postgraduate entrance test. 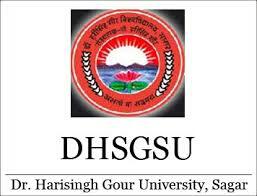 DHSGSU PGET is an entrance exam which is organized every year for the eligible applicants. The Doctor Harisingh Gour University is the conducting authority to organize the entrance exam for the applicants. With the help of the entrance exam, eligible applicants will be able to get admission in different Postgraduate courses offered in the university and its affiliated institutions. Applicants who want to appear for the entrance exam need to refer to the official website of the university as official authorities will update complete information and notification related to the admission procedure on the official website of the university itself for the reference of the applicants. 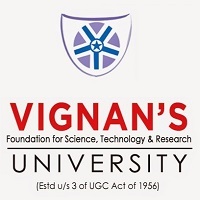 DHSGSU PGET 2019 Application Form Last Date has been Extended till 19th April 2019. Click Here to Check Application Details. Full Form Doctor Hari Singh Gour University Postgraduate entrance test. DHSGSU PGET 2019 Application Form has been Released on 15th March 2019 to 19th April 2019 Extended. The applicants have to fill the application from the website as no other modes are available to get the application form. Applicants have to register themselves on the official website by providing some details like date of birth, fathers name, working mobile number, email Id, name, etc. After that applicants need to open the application form. And then applicants need to start filing the application form by entering necessary details in it such as personal, educational, contact, course-related details and some more additional details as needed. Applicants also need to upload some necessary documents in the application form as needed in given format and size. Applicants need to check all the information that they have provided in the application form. And then applicants need to take a printout of the duly filled application form. Applicants must note that they submit the application form before the due date as official authorities will not accept the application forms received after the due date. The payment of the application fee is an important part of the application process. 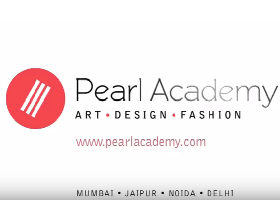 The application fee for the general category applicants is Rs 800/- for the admission procedure. And the application fee for the reserved category applicants is Rs 400/-for the admission procedure. Bank draft and cheque will not be accepted. Applicants need to pay the application fee before the due date in order to complete the application process. The applicants should have completed the graduation (10+2+3) from a known university, board/ institution in order to get admission in the institution. The applicants must have achieved a minimum 45% of score in their graduation examination (40% marks in case of reserved category applicants). Applicants who are appearing for the final exam in the current year are also eligible to apply for the entrance exam. The applicants will get 2 hours to solve the complete paper in the entrance exam. MCQ type questions will be asked in the entrance exam. Maximum 100 questions of 200 marks will be asked in the entrance exam. 2 marks will be allotted to the applicants for each correct response. No provision of negative markings in the paper. We request that the applicants refer to the official website of the university in order to get complete information about the syllabus subject wise for better preparation of the entrance exam. Official authorities will be responsible to update the complete information about the syllabus on the website for the reference of the applicants. In order to appear for the entrance exam, it is important that the applicants carry the admit card along with them. However in order to get the admit card applicants need to visit the official website of the university. After that, the applicant needs to enter some details such as login credentials on the official website of the university. And then applicants are instructed to download the admit card from the official website and take some copies of the same. Official authorities will announce the result of the applicant in online mode on the official website of the university. After that, the applicant needs to login to the website using the login credentials and download the result from the website. After that applicants need to keep some copies of the results. And applicants are instructed to keep the result safely till the time of admission procedure. Authority will prepare the merit list after the declaration of the results. And the merit list will be updated on the official website of the university for the reference of the applicants. Official authorities will also organize counseling session for the applicants on the basis of the merit list. However official authority will update complete information about the counseling schedule on the official website of the university for the reference of the applicants. Applicant needs to check the counseling schedule and be present in person for the counseling on the decided date. In the counseling round, applicants will get admission in the institution. Applicants need to carry some important documents along with them for verification at the time of counseling. For any other queries about DHSGSU PGET 2019, you can leave your queries below in the comment box.